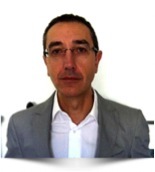 Jordi Garces Ferrer is Full Professor at the University of Valencia and Director of Polibienestar Research Institute. He has also been a visiting professor at the University of Innsbruck (Austria) and at the Erasmus University in Rotterdam (The Netherlands), as well as a visiting researcher at the Universities of Washington, Oxford and Cambridge. Within the INSPIRES project he coordinates the team of researchers from Polibienestar Research Institute. ''The INSPIRES project will provide relevant evidence to facilitate the design of appropriate labour policies to improve the capability of the European countries to adapt in periods of crisis. This will be especially relevant in the Spanish context'', Garces says. He is an author/ co-author of 25 books written in Spanish, Valencian, German and English and more than 100 scientific papers and he has participated in almost 200 national and international conferences related to the design of public policies, management and assessment, especially in social policies. His work has appeared in publishers of international prestige such as Nova Publishers, Routledge, McGraw-Hill and Peter Lang. In 2011 he chaired the IX Annual ESPAnet conference that take place in Valencia (Spain) and joint together more than 250 international researchers and experts in social policy coming from 40 countries and representing more than 130 universities and research centres. In 2009 he was awarded a Doctorate Honoris Causa by the University of San Pedro in the Republic of Peru and in 2011 his hometown (Pucol) gave him the title of Favourite Son. In 2010, 2011 and 2012 he was nominated for the Research Prize Jaume I by the Generalitat Valenciana. Estrella Dura is a PhD in Psychology by the University of Valencia (1989) and has a Specialist degree in Clinical Psychology accredited by the Ministry of Education, Culture and Sports of Spain. She is part of the team of Polibienestar in the Inspires project and she is working on the development of the design of methodology based on Comparative Qualitative Analysis (QCA) to be used to analyse and explanation of the impact of the current economic crisis on employment and labour market position of vulnerable groups. She works as a Professor at the Department of Personality, Evaluation and Psychological Treatment of the University of Valencia, where she also teaches undergraduate courses primarily in the subjects called: Psychology of Personality and individual differences. She also works as a teacher in the official Masters of the University of Valencia called ''Advances in Research and Treatment in Psychopathology and Health'' and ''Social Welfare: Individual, Family and Group Intervention'', coordinating in the later one the module on ''Research Methods''. Her researches have been focused on the field of health psychology, specifically on topics related to health promotion, disease prevention, psychosocial implications of chronic diseases and analysis of variables of personality that affects to the resilience of people in stressful situation and events. She is currently working also in the field of labour employment, researching about the impact of training on self-perception and employability in vulnerable groups. She has received funding for R & D projects from both the National and the Autonomic Plans. Her work has been published both in national and international scientific journals and publishers of great prestige at their area of expertise such as ''Psicologia Conductual'', ''Psicothema'', ''Journal of Psychosomatic Research'', ''International Journal of Cancer Prevention'', ''Oral Surgery, Oral Medicine, Oral Pathology, Oral Radiology and Endodontics'', ''International Journal of Clinical Psychology'' and ''Psychology and Health''. She has made research stays at Universities and research centres in the U.S., UK, Portugal, Austria, and Netherlands. Francisco Rodenas Rigla has a PhD in Sociology and he is a Lecturer at the University of Valencia (Spain) and a researcher at the Polibienestar Research Institute. 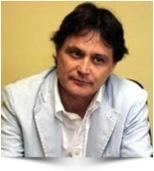 Currently, he works as a lecturer at the Faculty of Social Science of the University of Valencia, where he teaches undergraduate and postgraduate courses in the subjects 'Research in Social Welfare Systems' and 'Health and Social Care', and he is director of the official Master's Degree in 'Social Welfare: Individual, Family and Group Intervention'. He is part of the research team of Polibienestar Research Institute in the INSPIRES project and he is working on the formulation of a common framework to analyse the labour market position of vulnerable groups that will be finalized with the input of WP1 to carry out the analysis of impact of the economic crisis in WP2. With 20 years of teaching experience and research, he leads a research line on efficiency and quality of health and social systems for long-term care. He has published his research results in journals collected in ISI-Journal Citation Reports as Health Policy, Health and Social Care in the Community, International Journal of Geriatric Psychiatry, Archives of Gerontology and Geriatrics, or European Journal of Ageing. He is a coauthor of 6 books on welfare and social-health services. He has participated in 5 European R & D projects, has directed 2 R & D projects in Spain funded by the Ministry of Education, and been a part of the research team in over 30 projects and research contracts with government and the private sector. He has had research stays at the Instituto Superior de Ciencias da Saude-Sul (Portugal), the University of Kent (UK) and the Canterbury Christ Church University (UK). Irene Monsonis Paya, is graduated in Law (2007) and has a Master in Business Administration (2008) and in Corporate Social Responsibility and Sustainability (2012). Within the INSPIRES project she works on the development of the analysis tools based on QCA to be used in WP2. She has participated in various European research projects about social welfare, inclusion of vulnerable groups and new technologies, funded under the 6th and 7th Framework Programme and the programmes Ambient Assisted Living, Daphne III, Progress and COST. She is currently participating at the European Innovation Partnership for Healthy and Active Ageing and she coordinates the work group on new technologies for age-friendly environments. She has received training on research methodologies at the Essex Summer School (UK) and Harvard University (USA). The results of her research have been published by editorials as Peter Lang and Nova publishers and presented in national and international conferences. 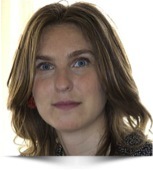 She is working on her PhD regarding the impact on social and labour inclusion of innovative educational programmes.